Babies: They deserve everything they need, along with excessive kisses and snuggles. But babies need diapers. A LOT of diapers. Like, every day. Unfortunately diapers are expensive, and some local families struggle to pay for them. So, for the third year in a row, Estipona Group did Diaper Duty for the Women & Children's Center of the Sierra, collecting these pricey bum-huggers for low-income families. We set an ambitious goal of 10,000 diapers, and guess what? We exceeded it, collecting 14,180 diapers! 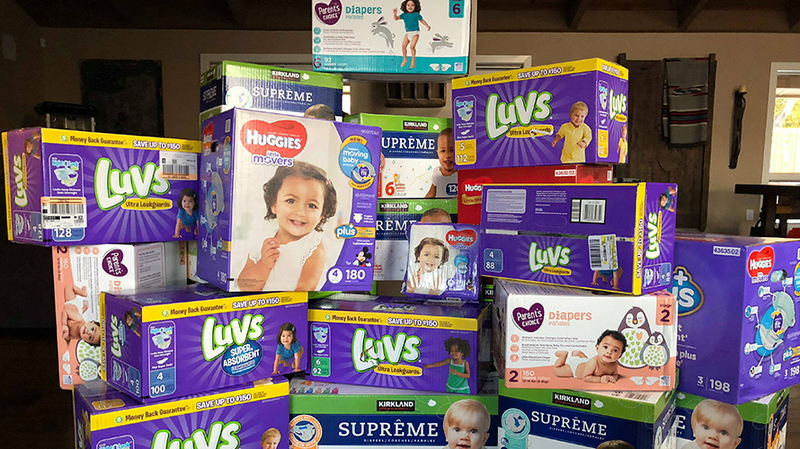 Learn more about the amazing work the Women & Children's Center of the Sierra is doing in our community to help women break the cycle of poverty, and see the many ways you can help them by donating diapers and beyond.